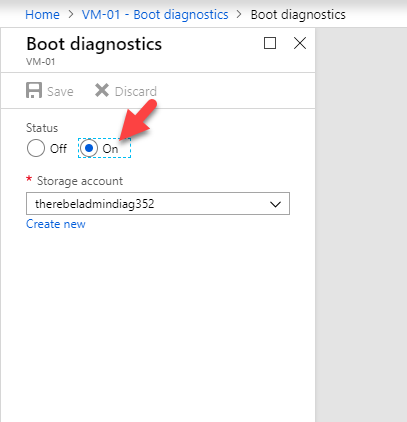 Azure VM now have serial console access via Azure portal. It is not depending on the virtual machine’s network or operating system state. This is ideal for recover machines/data, modify system configurations & troubleshooting. 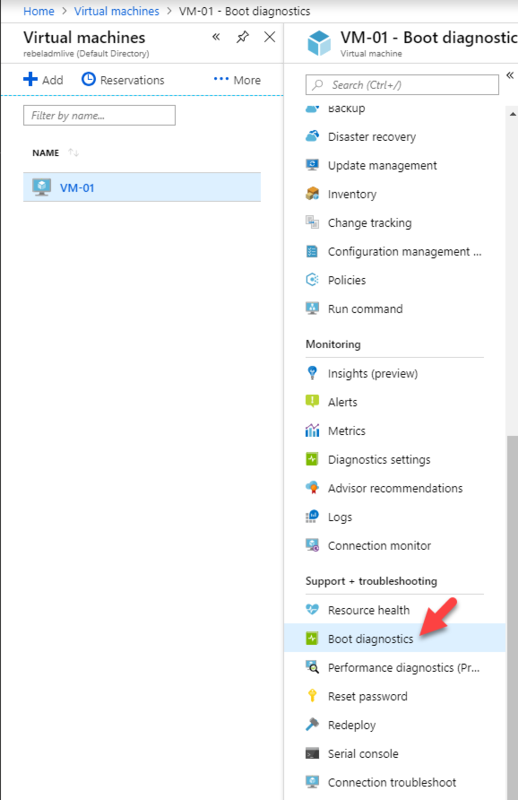 Azure serial console access is only available via Azure portal. It is using COM1 port of the virtual machine. 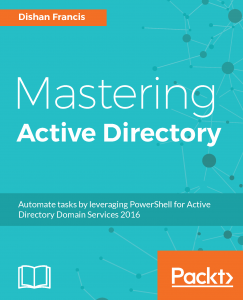 This works for both Windows & Linux VMs. 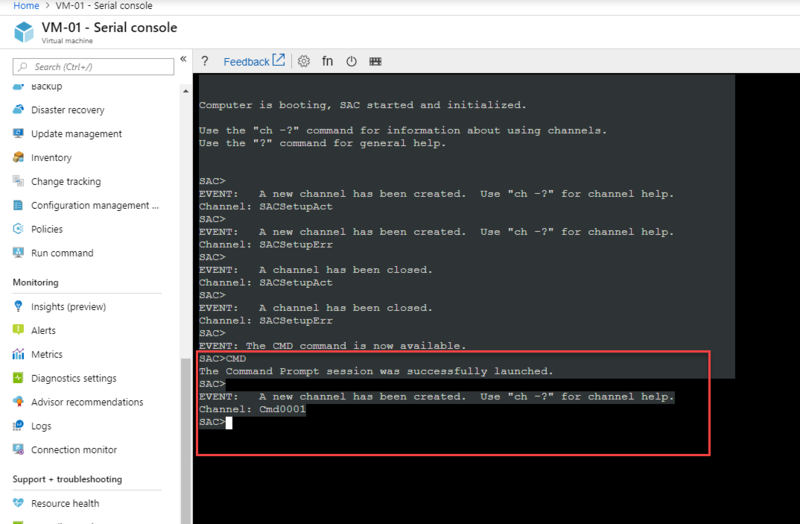 In my demo I am going to show how we can access windows VM via serial console. 1. 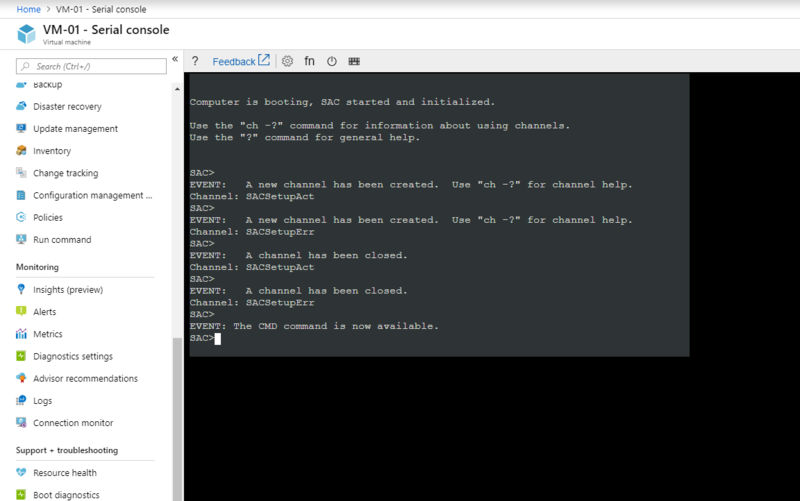 A VM created via New portal. This feature is not available for classic deployment model. Once prerequisites are in place, we can start the configuration. 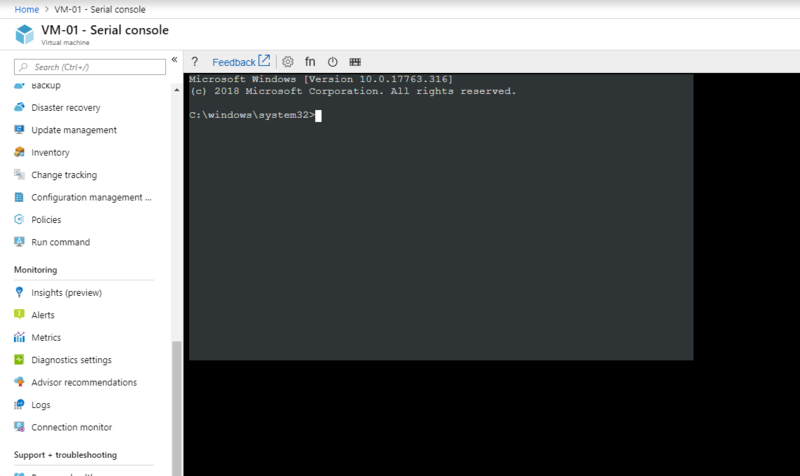 In my demo setup, I am going to use a VM with Windows server 2019 datacenter version. 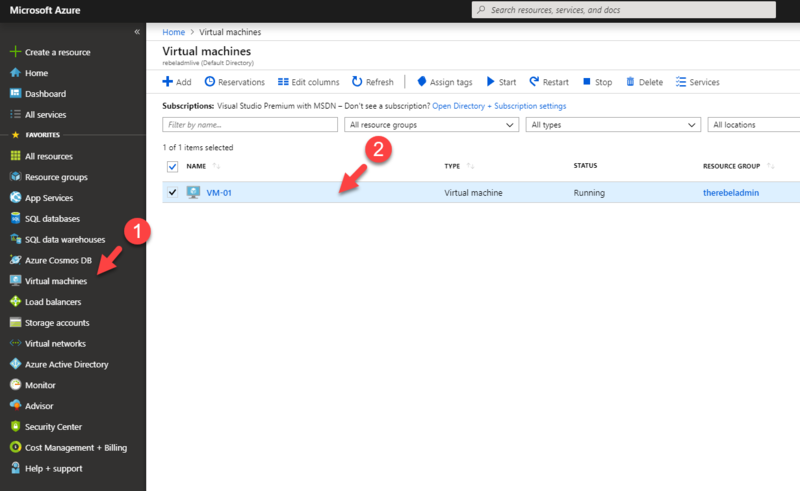 2) Go to Virtual Machines and click on the selected VM. 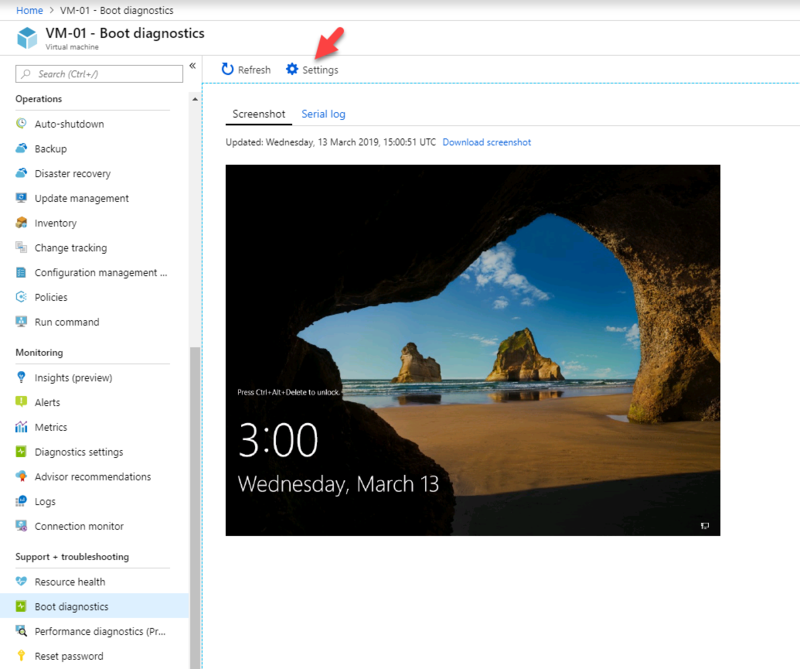 4) In new window, Click on Settings and make sure Boot diagnostics are turned on. 6) Then it should start the SAC console. 8) Once SAC is open we can use CMD command to create CMD channel. 9) Then run ch -si 1 to connect to the channel. 10) Press enter to continue and then it will ask for user name and password for the VM. 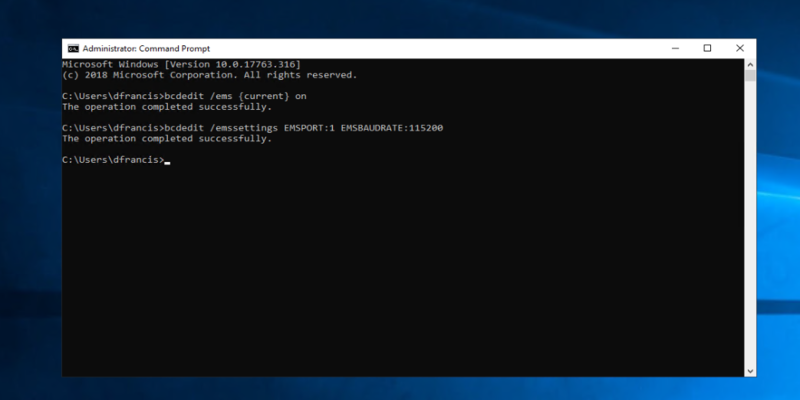 11) Once session is authenticated, it will open the command prompt. 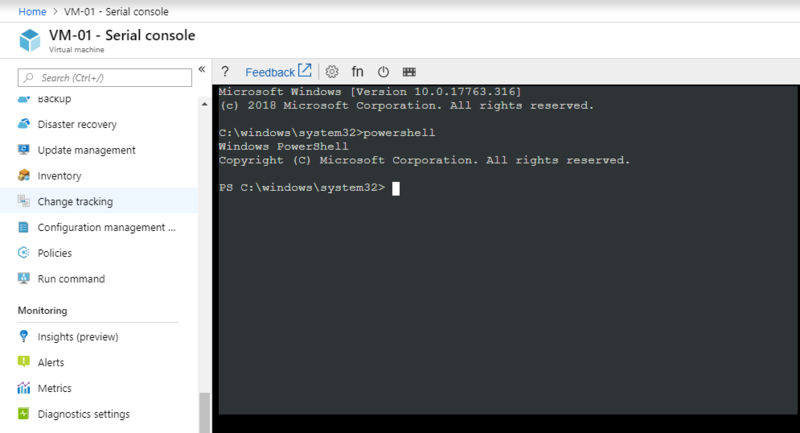 12) If you want to switch to powershell instance, type powershell and press enter.